This year we met on Wednesday 21st November at St. Peter’s Church Hall just over the road from the Shul. It was a very cold night but it didn’t stop our audience of over 120 people braving the weather. 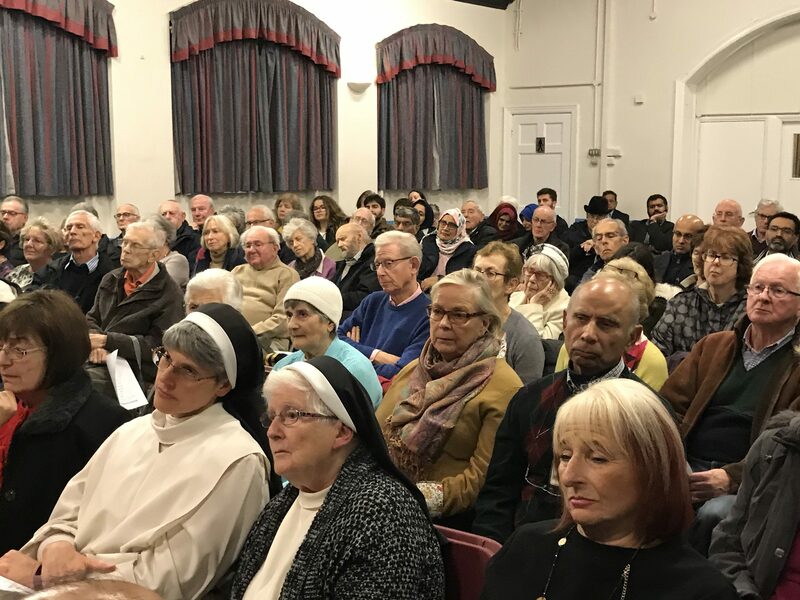 The hall was warm and welcoming and our host for the evening Alan Hudson OBE who is the St Peter’s Church representative on our Forum welcomed us all. 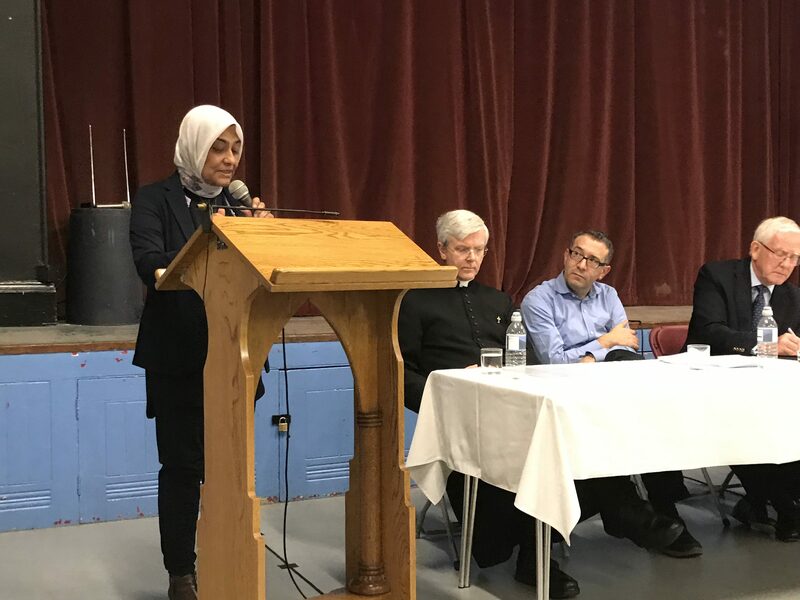 We had five speakers one of each from Jewish, Anglican, Jain, Moslem and Catholic faiths. Doctor Daniel Goldwater spoke for us and told us how he wore his Kippah at the surgery and how this broke down barriers with colleagues and patients alike. He described how his family kept Shabbat and how his children went to mainstream rather than Jewish schools. 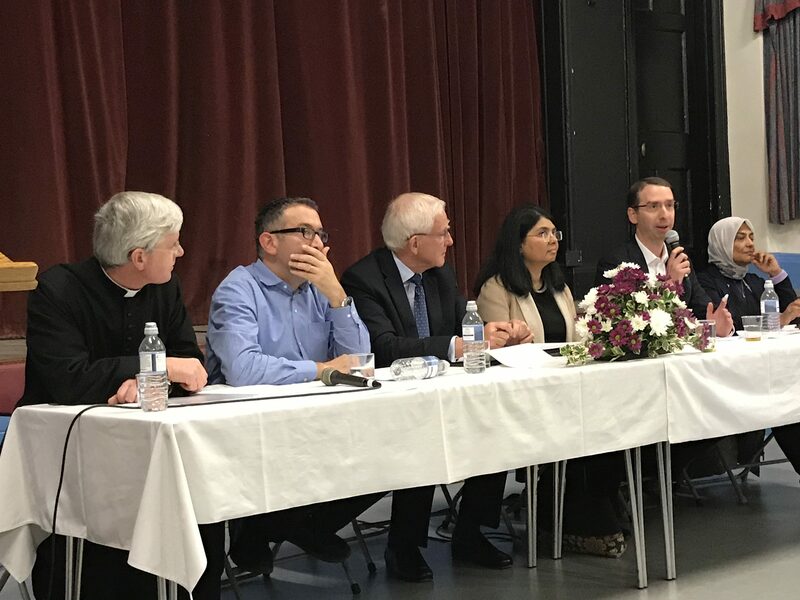 Other speakers gave their views; the Catholic speaker was the Mayor of Watford. He found it difficult to lead a Civic Service on Remembrance Sunday as opposed to the Mass he would have normally celebrated. The Muslim speaker told how she greeted fellow Muslim women on the street who were wearing the Hijab. We broke for refreshments generously supplied by St Peter’s and chatted between faiths. We had been told to seek out people from other faiths with whom to speak. We regrouped and the speakers formed a panel to whom we were asked to question. This lead to a lively discussion. Votes of thanks to the speakers were offered and a leaving collection in aid of Red Trust Bushey raised around £250. The charity works to help build community in the Little Redding’s area through a community cafe and a food bank. We left the hall and went out to the very cold Bushey Heath High Street a lot more stimulated than when we arrived.